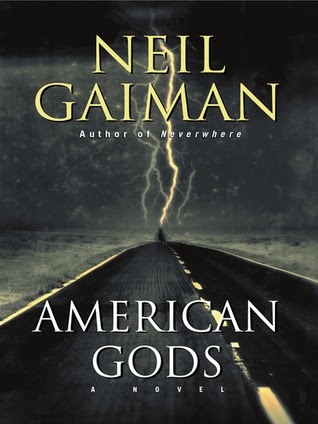 I intended to read Candide together with this read-a-long, but instead I finished it the same evening I started it. 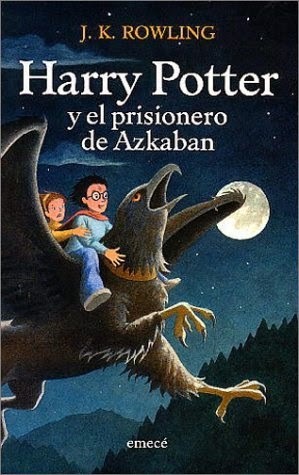 I know I didn't understand as much of it as I would have if I had read is slowly, but I knew I didn't want to spend the whole month with this book. 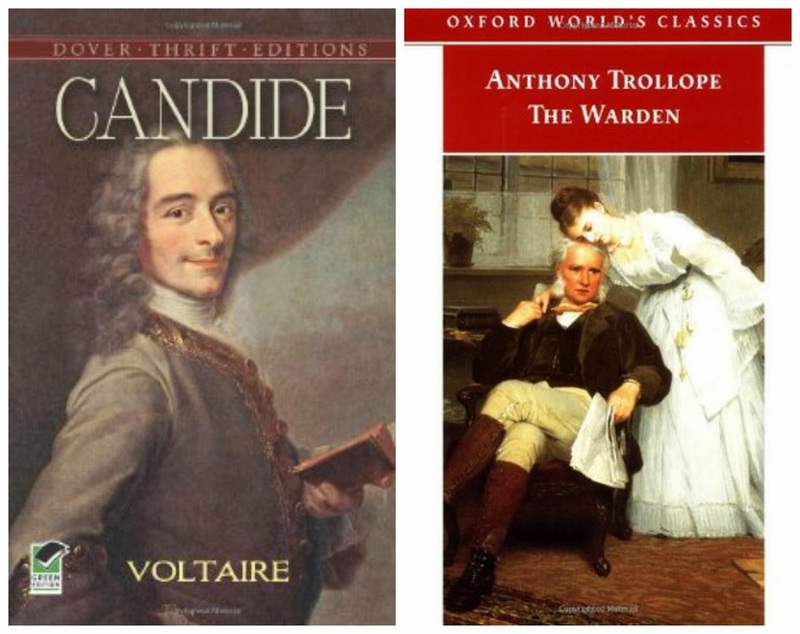 As you probably already know, Candide is a satire of the philosophy of optimism, that is, the belief that everything is for the best, and this world is the best of all possible worlds. Voltaire drags his characters through A LOT of horrible life situations to prove otherwise, all this in a very hyperbolic manner. I have nothing against satire, and I like it when it's well-done, but here it is probably over-done. 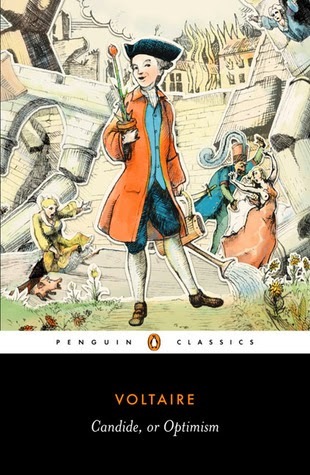 The things happening to Candide and his co-sufferers are brutal, horrifying and disgusting, and only some of them are funny. Also, a lot of satire is really hard to understand because it's the product of its time. For example, different religious orders and movements are obviously being mocked, but I have no idea what for... But the bits which are funny saved this book a bit for me. I liked the Eldorado part, and I quite enjoyed the character of Martin, who is wonderfully cynical. The main appeal of this novel is that it's really short. If you are able to see some other appeal as well - well, you are probably very high-brow and really into French Enlightenment... 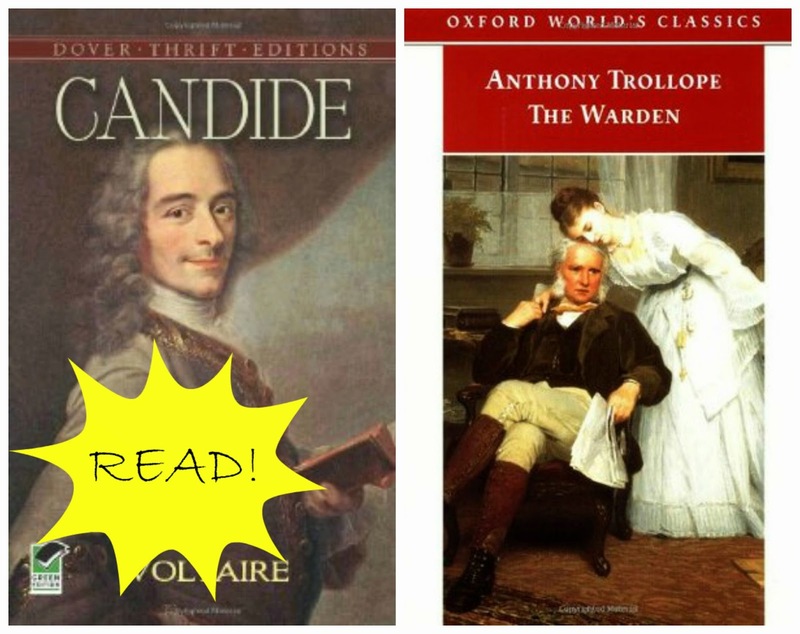 I'm not and that's why I didn't really enjoy Candide. Last year when I was in Vancouver on a conference I stumbled upon a wonderful bookstore selling used books. I didn't have much money on me, but I still spent an hour there and bought three rather thick books. Then I walked about 15 km with this heavy parcel in my hand because my hotel was already far behind and I had big touristic plans for the day. I was so dead at the end of the day that I cursed my book-buying addiction. But I repented thinking so as soon as I looked at my precioussssses again (and took a bath!). 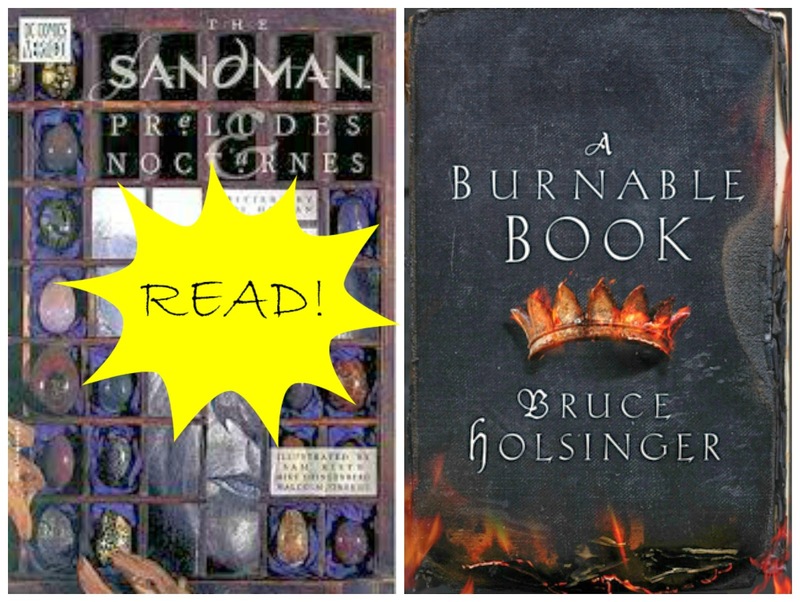 Sometimes I think that half of all the historical novels out there are about Henry VIII. But I doubt any of them are anything like Wolf Hall. 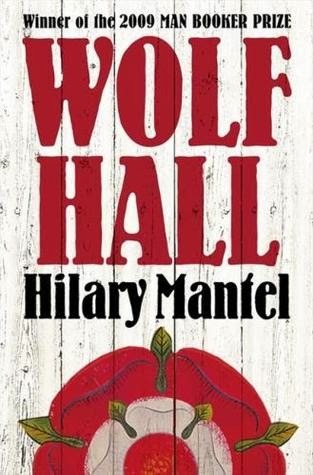 The novel is written from the point of view of Thomas Cromwell, one of the most powerful courtiers of Henry VIII's time. He is behind Henry's first divorce, the new legislation concerning ecclesiastical matters and foreign politics of the time, so his is a VERY informed point of view! He is also an interesting person himself - born a son of a smith, having served abroad for the most of his youth, learned not only in economy but also in theological matters, with wide correspondence abroad and an infinite influence at court, but still despised by every titled man of the realm for his descent... An outstanding person indeed! The most striking feature of Wolf Hall is its writing. It is sometimes hard to get into it after a long pause, but as soon as you do, it doesn't let you go. And I mean, literally! 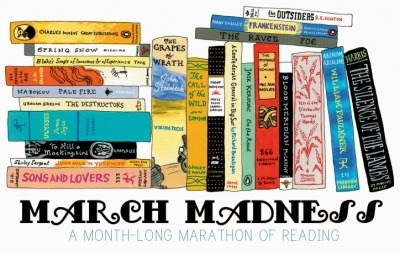 I physically couldn't stop reading, I didn't notice how many pages ago I should have put it down to go do something useful (like getting food! Once I missed the shop's closing time and had to order a pizza.) Mantel doesn't give you the story in chunks, set in different places and peopled with different characters, divided by cliffhangers. Instead, she somehow makes you turn the pages even though the narrative is very calm and meditative, and nothing sudden happens. The only problem I had with the writing was that Cromwell was always referenced as "he". Although the narrative is totally first person. Does it have some clever name? Help me out here, English majors! Anyway, I found it really confusing, because sometimes it was difficult to understand who is speaking or doing something. Imagine a passage like this: "Sir BlaBla remarks: "blablabla". He goes to the window". You would think that the "he" here refers to Sir BlaBla, but it doesn't! It's actually Cromwell who is doing it. So confusing. 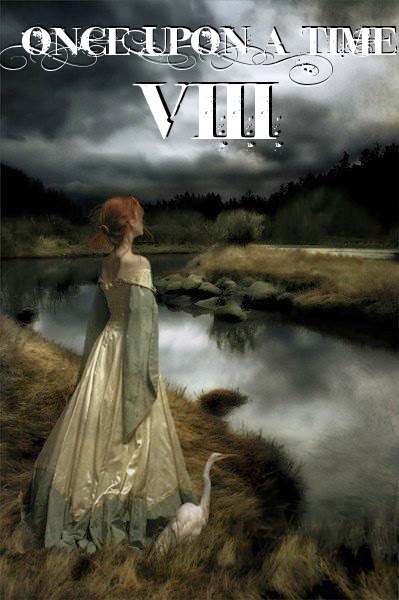 A beautifully written and haunting novel! 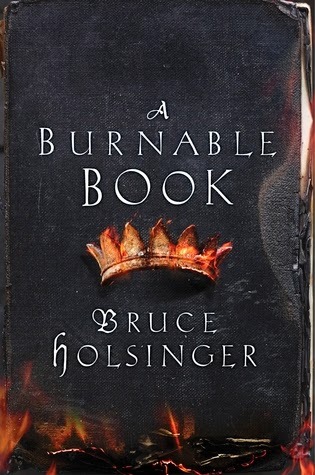 Recommended even to those who are sick and tired of Henry VIII and his public family life. 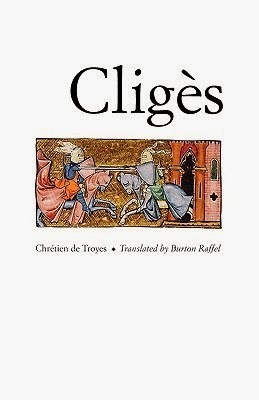 Cligès is the second poem by Chrétien de Troyes and it is a wild and amusing mix of Tristan and Iseult, Romeo and Juliet and your classic Arthurian romance. The story can be roughly divided into two parts: the first one tells about the Greek emperor Alexander, who came to King Arthur's court in search of glory and also found his love, and the second focuses on his son Cligès and his love to Fenice, which is very unlike the simple and idyllic story of his parents. The most striking thing about this poem is that it's very, very funny. Chrétien's ironic and cute portrayal of the lovers' feelings made me smile all the time. They seem stupid but also really adorable in their agony. And aren't we all stupid when we are in love? 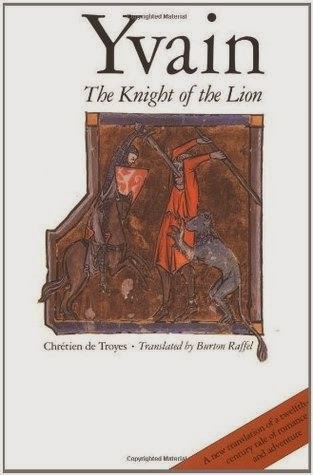 :) Another thing that I like about Chrétien de Troyes is that he is always very self-conscious about his writing, and he talks to the reader, explaining his writer's choices and underlining the structure of the poem. It's as if he is telling you the story reposing in front of the fire after a plentiful dinner washed down with mulled wine. The plot is more real and much less conventional than the plot of Erec and Enide, the only other Chrétien's poem I've read so far. Instead of battling imaginary giants at imaginary locations, Cligès is about real European politics and real battles and sieges. There is also abduction, treason, forbidden love, poisons, you name it! I really loved the "marriage solution" from the story. Fenice, in love with Cligès, doesn't want to sleep with her lawful husband, so every evening she gives him a potion which makes him sleep and dream certain dreams that make him sure she does her marital duty by him. Awesome, right?? 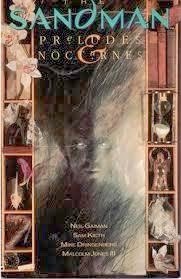 Cligès is much more readable than Erec and Enide and is very entertaining without any reservations! The reason I actually enjoyed this poem is probably the translation. 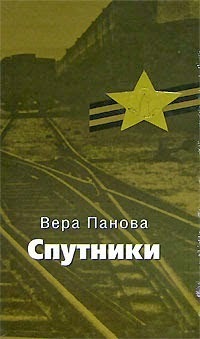 Mine is a verse translation into Russian, and it is really good: readable, rhyming, stylistically suitable. Without a good translation these epic poems can be a bit repetitive and tiring, you know, and Erec and Enide sometimes was. 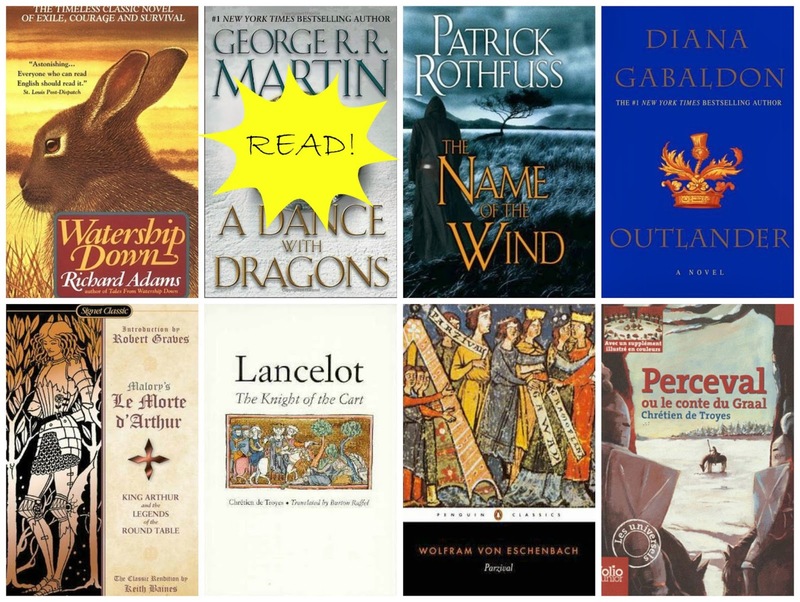 It's full of the descriptions of the feasts, presents, entourage and blows in the duels. But clever word choice and a fast rhyme flow somewhat covered those nuisances. 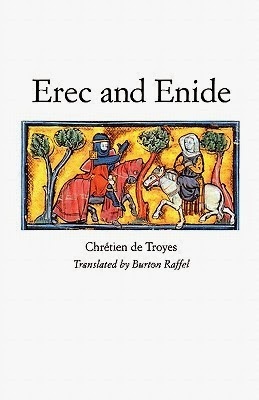 Erec and Enide is the first of Chrétien de Troyes's Arthurian romances. He took some old legends and remodeled them according to current chivalrous tradition. 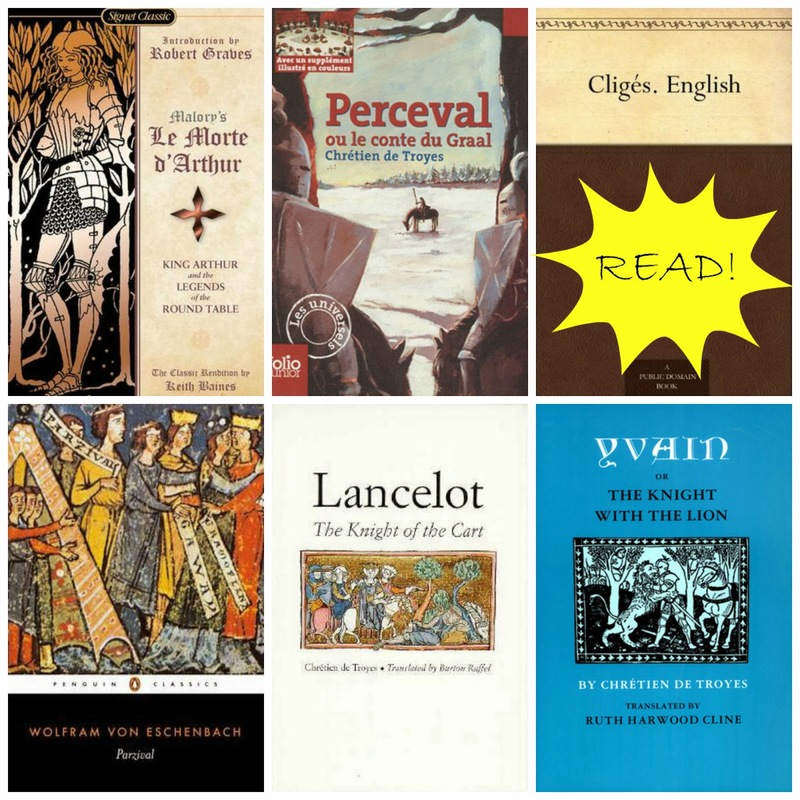 So no surprise the reader sees some French locations there and some imported goods which were not present at the hypothetical Arthurian times. Each and every knight is under constant pressure to prove his value to everybody and himself, and this usually leads to some stupid decisions, like travelling alone or not stopping for rest to tend one's wounds... I guess the death rate was rather high among the knights of the round table. Erec wants revenge from some unknown knight for an offence he has given to the queen. While accomplishing this, Erec meets his future wife, Enide, fights for her and brings her back to the court. After marriage rumors start that Erec is caring more for his wife than for his valor (hm... not surprising at all! ), so he decides to go search some fights again, this time taking his wife with him and testing her on the way. I don't like Erec at all. He is straight as a stick, and is not very amiable and clever. Enide is more to my liking, as she is always alert for anything that can harm her husband, and can perfectly well deal with some unwelcome suitors (that want to kill her husband and get her as a prize, obviously) by outwitting them. Nevertheless, I'm really surprised that a woman is allowed to play such an important role in the story and accompany her husband in his adventures. A great decision, Chrétien de Troyes! Although Erec is not the most popular knight of the round table, Erec and Enide is a good introduction to the topic. It's rather entertaining and only at times repetitive. P.S. Jean has also written a review on Erec and Enide, so go check it out HERE. Arthurian event is the best, I tell you!